It’s been a long time since I last posted a monthly recap of my favourite moments caught on camera. I’ve still been actively photographing, but my focus has been elsewhere. As the preschool year winds down and the changes and enrollment for the summer program and next year’s school year preschool program are being finalized, I’m looking forward to more time and less mental space taken up in my head. Long live the sunny days of summer! Here are my favourite photographs from last month. A beautiful view from up top Mt Maxwell here on Salt Spring Island. Definitely one of the best things to see when you’re on SSI. 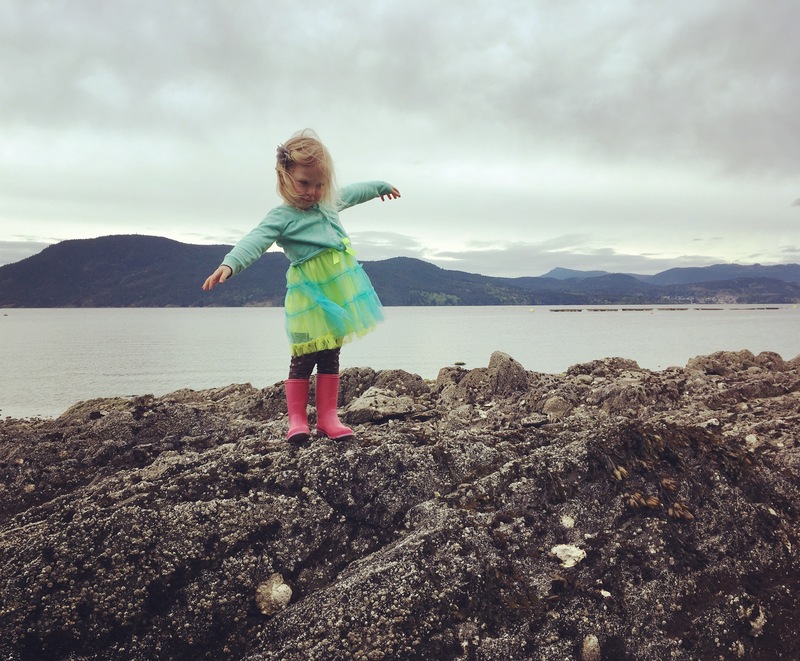 Here’s a list of fun things to do on Salt Spring for families. We’ve been busy in the garden this Spring! Finally feeling like we’re getting the hang of it after 4 years here. Z even has her own garden box that she is growing peas, beans, marigolds, and (hopefully, if they ever sprout) sunflowers. So nice to have a dedicated plot that she can use however she wants and I need not worry. Shopping trips take a bit longer now that Z has to push the cart with her baby in it, instead of sitting in the cart herself. Z’s all about the fancy dresses lately. She has a strong desire to choose her own outfits, and so her satin flower girl dress has had adventures in the sand and elsewhere. Hooray for boating season!! Our little love is thoroughly enjoying fishing herself this year, and insists she can hold the rod by herself. She caught a little cod this particular day. Getting our feet wet in Mouat’s Park. Loving the sandal weather! Barefoot and fancy free on Tribune Bay Beach on Hornby Island. Our first camping trip of the year! 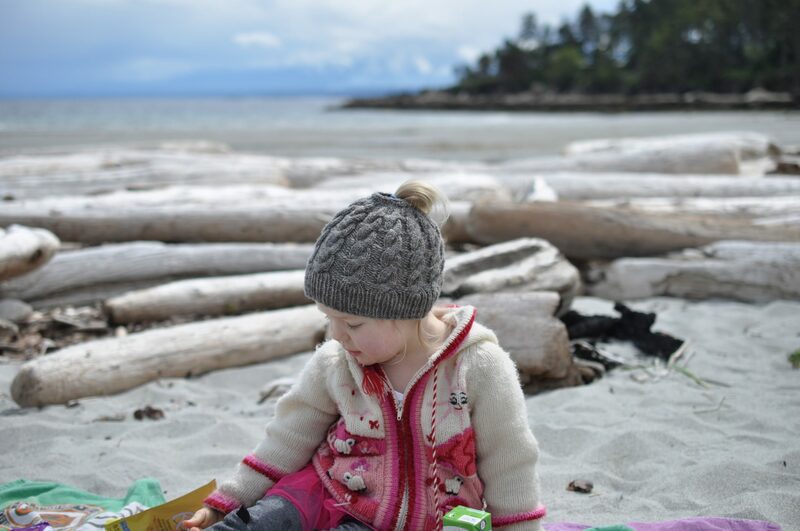 Find tips on camping with a toddler here. Rainbow umbrellas, playgrounds, babies, and fluffy dresses make her world go round. We enjoyed a beautiful day on Baker’s Beach with some friends. Such a lovely place we live. I took this shot for a post on finally getting rid of cradle cap after 3.5 years, and I absolutely adore it. She’s loving wearing her goggles in the bath that I brought back from my ladies’ weekend in Palm Springs. Okay, so this one is actually from March, but I love it and published it on Instagram in May, so it’s here. Now, this one is from Easter weekend in April up at our lovely off-grid cabin on the Sunshine Coast, but it was Instagrammed in May and is so lovely it had to be here. She’s picking up all kinds of tricks on the tire swing, lately! I love her bedhead in this shot, making her own breakfast. You can check out my post with 5 breakfasts preschoolers can make on YMC here. Swinging on the rope swing at Churchill Beach. 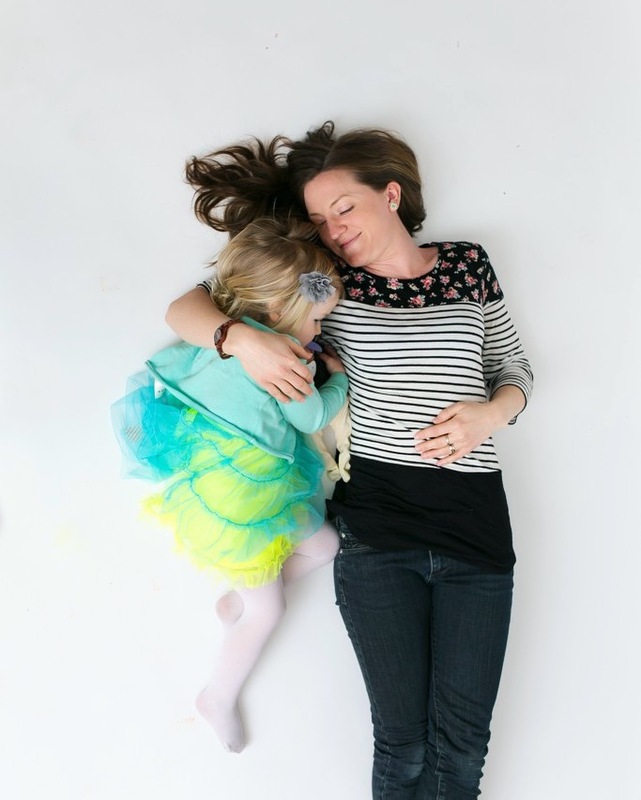 And the final photo I’m sharing from May was actually taken by Billie Woods Photography, as part of a Mother’s Day photoshoot we were part of. It definitely deserved a spot here, though. Thanks for taking a peek at my favourite photos from May 2017! You can always check out more on my Instagram account. What did you get up to last month? Like what you found here? Sign up here for my short and sweet What’s New On The Big To-Do List weekly e-notification. You can also connect with me on Facebook, Twitter, Instagram, and Pinterest. Disclosure: As mentioned above, I have included links to doll carriers on Amazon.ca. These are affiliate links, and if a purchase is made through clicking on the link, I will receive a commission (which you don’t pay for). You can read my full disclosure statement here.